Association between higher blood level of vitamin D and lower risk of diabetes among women in the Nurses Health Study. 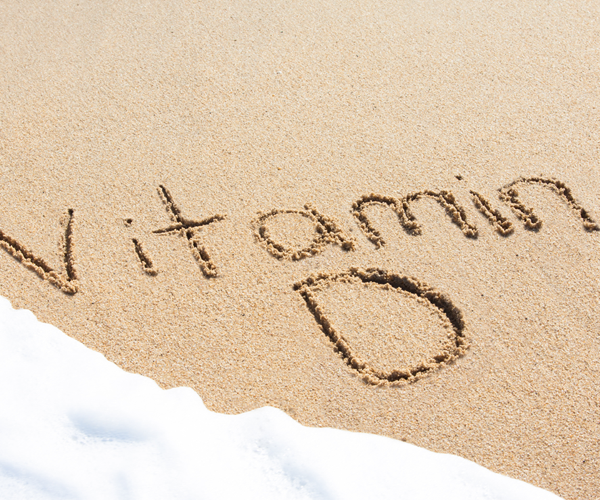 The Vitamin D Status and Incident Type 2 Diabetes study was an ancillary analysis within the Nurses Health Study, a large cohort of women, to assess the longitudinal association between vitamin D status and risk of developing diabetes. The working hypothesis was that vitamin D status, as measured by serum 25-hydroxyvitamin D level, in women free of diabetes at baseline is inversely associated with development of diabetes. The association was quantified in a nested case-control study design (600 cases of diabetes and 600 controls – matched by age and season of blood draw). Results: After adjusting for many factors known to influence diabetes risk, including being overweight and physically inactive, higher blood level of 25-hydroxyvitamin D was associated with lower risk of future diabetes. Specifically, women in the top quartile of blood 25-hydroxyvitamin D level (mean level of 33 ng/mL) had a 48% lower risk of developing diabetes compared to women in the bottom quartile (mean level of 14 ng/mL). 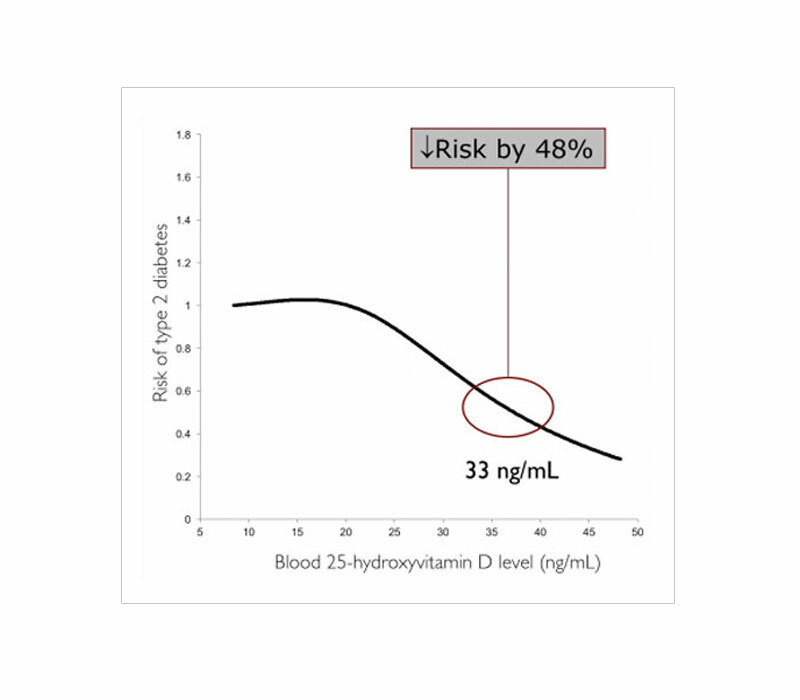 Spline regression models showed no apparent threshold and no deviation from linearity for the relation between 25-hydroxyvitamin D and incident diabetes, although the shape of the association suggested a stronger decrease in risk within the higher range of blood 25-hydroxyvitamin D concentration above 30-35 ng/mL. The study was funded by the National Institute of Diabetes and Digestive and Kidney Diseases (NIDDK) of the National Institutes of Health (NIH).